AGS FROESCH is the German expert moving company for national and international removals and relocation. 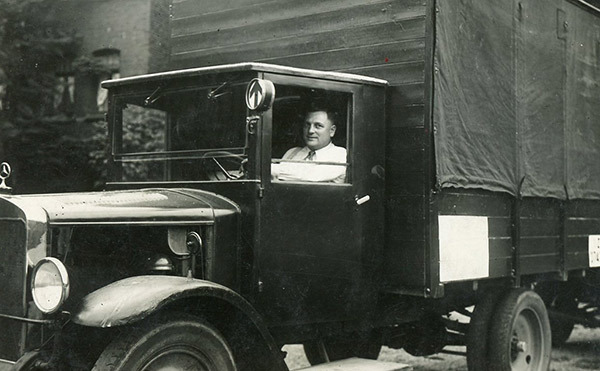 Alexander Froesch laid the foundation for today’s AGS FROESCH Group in 1927 when he first started his moving company in the city of Koblenz, Germany. The shipping company remained with the Froesch family for 85 years until it was acquired by the MOBILITAS Group in 2012. MOBILITAS is a global logistics group, which also includes one of the world market leaders, AGS Worldwide Movers. Today AGS FROESCH movers has around 100 employees and a fleet of fully-owned vehicles at two branches in Koblenz and Berlin. The removal company’s warehouses boast an overall storage capacity of 9,000m2. Each year AGS FROESCH conducts about 5,000 moves, offering a full service from pre-move surveys to insurance, high quality packing, shipping, secure storage, customs clearance and delivery. Our customers benefit from our close collaboration with the AGS Group: While the AGS FROESCH branches manage the German market, we work with AGS movers’ 142 branches and offices in 94 countries worldwide for international removals and relocation projects. Extensive cost savings, seamless communication, consistent high quality standards and designated contacts are just a few of the many advantages of this partnership. Our customers save money without compromising on quality.